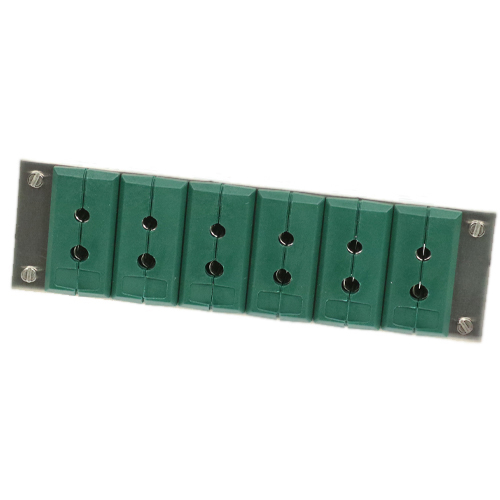 Panels equipped with six standard socket cases type K, green. Our panels, equipped with the standard socket cases, allow a fast and easy installation on your control board. Available are panels for the connection of 1 and 6 thermocouples or resistance thermometers. The panels delivered with pre-mounted socket cases. Panels with 12 , 18 or 24 socket cases are also available on request.